“Fiddler” is a beautifully customized Hatteras 72 Cockpit Motoryacht.Originally built in 1986, her custom cockpit was added by Hatteras of Ft. Lauderdale in 1994 and the vessel upgraded throughout.Her aft Master Stateroom is unusually spacious and includes a study/dressing area large enough for two bunk beds.Forward she has two twin bed guest staterooms with heads, plus crew/guest quarters with a separate head.On the main deck, she featuresa large dinette opposite the fully equipped galley, an airy bright salon with dining for six, a bar and entertainment center, and comfortable seating throughout.The lovely teak joiner work is in excellent condition.“Fiddler” has all the systems requisite for extended cruising or a liveaboard includingan extra freezer, 800 GPD watermaker, Naiad stabilizers, full-size washer and dryer, and special generator sound attenuation for peaceful offshore anchoring.On deck, Fiddler has built-in foredeck seating and a large open aft deck and cockpit.The huge flybridge is covered and the helm sightlines are exceptional.With approximately 1500 hours on her DD 12V71 engines, she will top out at an amazing 22 knots and easily cruise at 16 knots.With her 1945 gallon fuel capacity, her range is nearly 2000 NM at 10 knots!Fiddler is owned by an eminently knowledgeable marine restoration professional and boatyard owner.She is currently actively cruising and ready immediately for your next adventure. 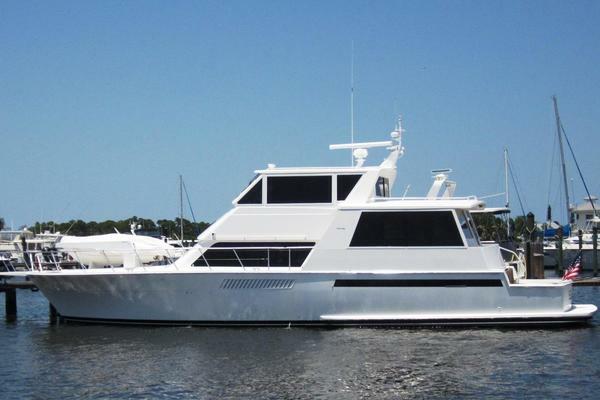 United Yacht Sales New Jersey would love to guide you through a personal showing of this 72' Hatteras Cockpit Motor Yacht 1986. 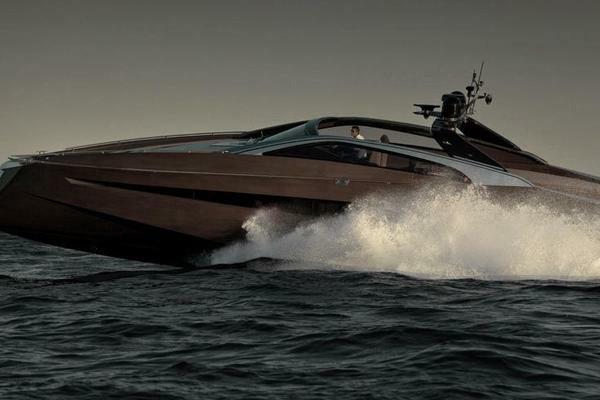 This yacht for sale is located in Jupiter United States and priced at $589,000. For a showing please contact us by filling out the form on this page and we will get back to you shortly! Beginning at the top, there is the covered flybridge and upper helm with an interior laddered companionway to the lower main helm.The main helm is accessed by port and starboard doors.Directly behind the main helm is a sitting area.The galley is aft of the helm suite and the salon is aft of the galley.The aft deck and cockpit are accessed through the aft salon.The lower level is accessed from the main helm station by a starboard companionway.Directly to starboard is a dinette.Forward is a full head and two staterooms, one with stacked single bunks and the other with criss-cross style bunks.Heading aft is the VIP stateroom with 2 single berths separated by a night table and a private head.Continuing aft is a centerline companionway between the dual engine rooms. Past the engine rooms is the full beam master stateroom with king size bed, separate dressing room, and private head with tub.